Chinese Lantern ( Abutilon, MALVACEAE ). 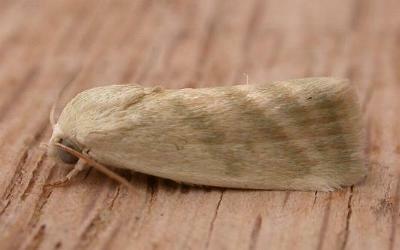 The adult moths are pale brown with three faint darker greenish diagonal bands across each forewing. 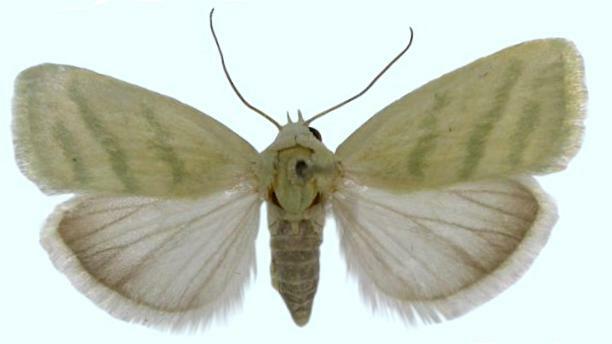 The hindwings are white shading to pale brown at the margins. The wingspan is about 2 cms. Melbourne University Press, 1990, fig. 48.10, p. 458. Volume 13 (1898), p. 73.